It seems like over the past few years, there has been a steady influx of great new horror movies slowly starting to revitalize the genre. Last year was the amazing ‘It Follows’, and Australian horror film ‘The Babadook’ the year before that. The trend shows no sign of slowing down, because this years ‘The Witch’ is probably the best of the lot. Premiering at Sundance last year, first time director Robert Eggers took home the top directing prize of the festival, and it’s easy to see why. I can’t believe this movie is his first film. The Witch was beautifully shot, confident in every frame, and likely the most unsettling movie I’ve seen in years. I can say with confidence that (in my opinion, of course) The Witch is a new American horror classic. The plot and setting of The Witch is something that threw me off at first, and definitely takes a brief adjustment period to get used to. From the very beginning you’re thrown into puritan society during early American colonization. 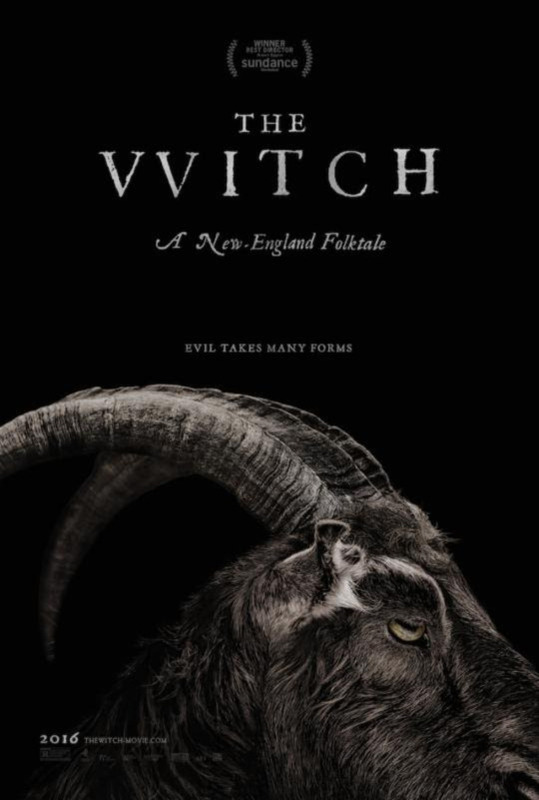 The Witch follows a family of devout, almost extremist, puritans who are being banned from their town for being ‘too’ religious for society. The family goes off on their own, and it’s this early on that the film begins to isolate it’s audience. I’ll talk about that more later, but it’s also early on that we’re introduced to ‘the witch’ (believe me, that’s not a spoiler). From this point on, the family faces confusion, loss, crises of faith, and evil itself. I talked about isolation before, and it’s a huge theme of the movie. Director Robert Eggers is a master at sowing seeds of anxiety and discomfort from the first frame. We follow this family as they’re banished into the unexplored wilderness with only themselves and their faith to guide them. All the characters speak in a historically accurate dialect for the time, which is alienating at first, because of its almost Shakespearean nature, but grows on you. What all of this does for the movie however, is create an authentic atmosphere, and a sense of immersion that I don’t think I’ve ever felt in a horror movie. It creates a feeling that this story actually happened, like you’re right there with these characters, experiencing all of the misery they endure. Without spoiling anything, this movie has possibly my favorite third act and ending of any horror movie I can even think of off-hand. I read a review somewhere that said watching The Witch is like ‘watching something we should not be seeing’ and I couldn’t have said it better. It’s been a long time since a movie left my mouth wide open in shock by the end. Also, I’ve never seen a movie portray the idea of ‘evil’ so unflinchingly real and terrifying. The Witch is such an authentic and terrifying vision from Robert Eggers, and I can’t wait to see what he cooks up next. That’s going to do it for The Witch. It’s hard for me to recommend this movie flat-out, because it’s definitely not for everyone. However, if you like a good horror movie, this is it. I don’t think there’s a single ‘jump scare’ in the movie, and it’s so much better for it. If you loved movies like Rosemary’s Baby, The Shining, or those recent flicks I mentioned, put this one on your watchlist. I’m pretty happy with the rate I’ve been putting these out at (although my new job will likely slow things a bit) but I’ll try to keep them coming fairly frequently. I still need to catch ‘Hail, Caesar’ if it’s still in theaters, and will also catch Triple 9 sometime soon, so keep an eye out for those and thank you for checking out the blog!